Oil prices continue to fluctuate in a relatively narrow band around $50 for WTI and $60 for Brent. On March 6, Baker Hughes reported another round of declining rig counts. Only this week the pace of cutbacks accelerated. An estimated 75 rigs were removed from the oil patch for the week ending on March 6, a big jump from a week earlier. It is important to remember that week-to-week numbers are largely statistical noise; the long-term trend line is more important. Still, after several weeks in which the rig count collapse appeared to be slowing, last week’s figures are a reminder that the rout is not over yet. After all, production has not dropped off – U.S. production surpassed 9.3 million barrels of oil per day in February, the highest level in decades. Still, the falling rig count is evidence that OPEC’s strategy is working, something emphasized by its top official over the weekend. 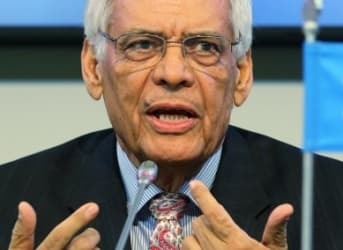 OPEC’s Secretary-General Abdallah Salem el-Badri spoke at the Middle East Oil and Gas Conference in Bahrain on March 7, in which he highlighted the growing cracks in the U.S. shale industry. His comments echoed confidence in OPEC’s strategy of undermining its main competitor. Without explicitly saying so, he emphasized that OPEC will successfully force some shale production out of the market as private companies pullback on investment. “When OPEC didn’t reduce its production, everything collapsed for the U.S. shale-oil-rig market,” el –Badri said. At the same time, he cautioned that the industry may be cutting too much, which could lead to a price spike in the future. “Projects are being canceled. Investments are being revised. Costs are being squeezed,” he warned. 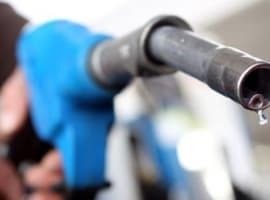 “If we don’t have more supply, there will be a shortage and the price will rise again.” Not that that would necessarily be a bad thing for OPEC. But as el-Badri noted, low prices are indeed putting a strain on the industry. 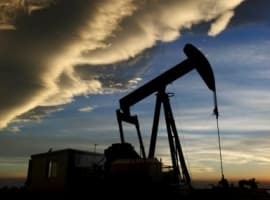 Significantly lower revenues for oil and gas exploration companies have sparked a wave of credit downgrades, which along with new bond offerings, are contributing to an unsettling level of “junk” bonds. The energy sector accounts for a large and growing share of the high-yield credit market. Junk bonds in the energy sector have reached $247 billion, or 17.5%, the highest share for any industry. The growing level of debt with poor credit ratings is beginning to concern big banks, which warn that defaults are most likely just around the corner. Urgent Note: As oil market volatility has calmed somewhat, many investors may be tempted by the promise of a price bottom to go bargain hunting. While plenty of opportunity remains in the market, not all that glitters is gold. This week, Martin Tillier details the various types of value traps awaiting investors in the oil and gas sector. Find out what to look out for to avoid getting burned, and make the best-informed investment decisions possible by clicking here and starting your free, no risk trial today. This past week saw another spate of oil train derailments with one derailment and explosion in Illinois and another in Northern Ontario. Fortunately, major casualties were averted as the derailments occurred in remote areas. The two accidents come shortly after two prior derailments – a previous incident (also in Ontario), plus a much more spectacular fiery explosion in West Virginia. The railcars implicated in the string of catastrophes are the 1232 designs, purported to be safer and stronger than the older DOT-111 models. But the problems go beyond railcar specifications. A confusing distribution of responsibility between railroad companies, shippers, and oil producers, along with a mind-numbingly slow regulatory response from the U.S. federal government is perpetuating the situation. While it is unclear what happens next, one thing is for sure: the status quo is unsustainable. A new round of attacks by Islamic State militants hit Libya’s oil industry on March 6. Eight people were reported to have been killed with at least seven foreigners kidnapped. The Islamic State has been able to fund a massive expansion in Iraq and Syria by capturing oil refineries and other oil-related infrastructure. They have attempted to follow the same script in Libya, but without enough strength, they have been unable to seize oil infrastructure for their gain. As a result, the extremist group has decided to settle on merely destroying oil pipelines and refineries to deprive their enemies of revenue-generating assets. The strategic decision to target Libya’s oil industry for destruction does not bode well for the country’s long-term ability to rebuild. It could even contribute to the state’s collapse and years of stagnant oil output if violence keeps up and infrastructure cannot be repaired. Despite the gloom and doom, there was a bit of positive news to Libya’s east. Egypt is working with BP (NYSE: BP) to develop its natural gas resources. Last week BP obtained the rights to a concession in Egypt’s West Nile Delta after it agreed to invest $12 billion to develop 5 trillion cubic feet of natural gas, with production starting in 2017. BP estimates that it will be able to ramp up production to 1.2 billion cubic feet per day, which would amount to about one-quarter of Egypt’s total gas production at today’s levels. Just a few days after announcing the deal, BP announced that it had made a second major gas discovery in Egypt. On March 9 the oil major said that its deep-water well, the deepest ever in Egypt, came across a significant gas discovery in the Nile Basin. The “Atoll” well is about 15 kilometers north of the company’s 2013 “Salamat” discovery. “Success in Atoll further increases our confidence in the quality of the Nile Delta as a world class gas basin,” BP CEO Bob Dudley said in a statement. “The estimated potential in the concession exceeds 5 trillion cubic feet (tcf) and we now have a positive starting point for the next possible major project in Egypt after BP’s West Nile Delta project.” Egypt is pinning a lot of its energy hopes on BP’s success. The country is chronically short on energy, with a shortfall now hitting crisis levels. A growing population with rising energy needs is colliding with falling production, leading to a surge in blackouts. BP could help reverse that trend. 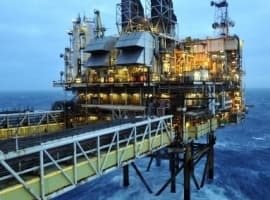 Could Oil Prices Plummet A Second Time?